Isn't she cute! Many people fall under the impression that pigs are dirty animals, but in fact they are very clean. Yes, they do roll around in mud at times, but they do that simply to cool down. Pigs do not have sweat glands. But, you didn't visit this page or our website to learn about pigs, you came here to find out more about dontburnthepig.org. Our pig (the dbtp logo) may not seem as cute, but he is mysterious, creative, and cool, much like Dave Matthews. See, creativity and imagination can take you anywhere you want to go, like an artist, or a musician, there are no limitations. Dave Matthews Band has been a part of my life pretty much since around the time that they started to really make a name for themselves in 93-94, around the time of "Under the Table and Dreaming". That album was really enough to get me hooked, but then listening to "Live at Red Rocks" spurred that obsession on even more. While getting to an actual show did not happen until a few years later, that did not change my growing love for the band. Getting to that first show was a bit of a challenge, you know, being a college student and basically being poor, but looking back on that time now I wish I had gotten to a show sooner. For those that have experienced DMB live, and there are many of you, there is without question nothing else like it. In any case despite my personal DMB history, dontburnthepig.org, named after the defunct song which is now simply "Pig" is the fan site I created and launched in September of 2006 for all things Dave Matthews Band. When we originally launched dontburthepig.org (dbtp.org for short) the basic concept was to share DMB news, which we still do, and share my DMB fandom with other fans. I love Dave Matthews Band and want to share that with other fans. As time progressed so has the website and it has slowly become an archive for all things DMB. What you see here on the website and what we still have archived of-site is mind boggling. In 2013, we have launched a brand new platform and layout for dbtp.org, which we hope you enjoy. We love sharing DMB with you and work hard to improve and add new features to the website every year. Without your support, this website would not be possible to run. So, explore dontburnthepig.org and have fun. If you would like to submit something to add to our archives, make a suggestion, have feedback, or a comment, please feel free to send us a message using our contact page. dontburnthepig.org is a non-profit organization and survives by the support and funding by DMB fans for server and hosting fees that keeps us running. If you would like to make a donation to help us with these ongoing fees, you can do so by clicking here. We greatly appreciate your support! dontburnthepig.org is staffed with the help of volunteers who share the same passion for Dave Matthews Band as you and I do! There are many ways that DMB fans can help out on dbtp.org, and if you would like to find out how, again send us a message using the contact page. We thank you for visiting dontburnthepig.org. We hope you can find something to fill your DMB fix. We are an archive/reference website, so you should be check us back often, because new DMB content is added on a continuous basis. If you need another excuse to bookmark the pig, we love to give away free stuff and tend to have a contest or two throughout the year. For those of you interested in our copyright and/or private policies, you can check them out and those interested in advertising, please point your attention here. 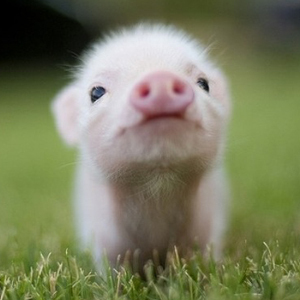 You know, after you burn all your hard earned money on DMB tickets you could always get yourself one of those cute pigs. Royal Dandie Extreme pigs are super cute and super expensive. If you happen to have a few thousand dollars to kick around there is one with your name on it, but whatever you do, don't burn the pig.